Now that you've completed your basic daily fantasy sports courses, its time to dive in deeper and learn to how to research and select starting pitchers. In this segment, I'm going to teach you each step in the process of selecting the hurlers that will put your lineup in the best position to win. The first thing to look at when selecting your starting pitcher(s) is the roster construction on the site where you are playing. For instance, DraftKings requires you to select 2 SP, while FanDuel only has 1 SP slot on a given roster. Inning Pitched = 1 point. There is fractional scoring for each out in a given inning for pitchers who don't complete the inning (Example: 5 2/3 innings would be 5.66). Next up, you want to look at Las Vegas lines for each MLB game. If you aren't familiar with how odds works, a team that is a significant favorite will have a bigger number following the (-). For instance, if Clayton Kershaw is facing a poor offensive team, he is generally a favorite of -200 or higher. A marginal favorite will be closer to -110. In summation, the higher the number, the bigger the favorite. With a Win being so highly weighted, you want to target pitchers who are substantial favorites as far as Vegas is concerned. When you lock in a starting pitcher who is an overwhelming favorite, your odds of taking down the “Win" points are significantly higher. Targeting games with a low over/under is another key. You want to roster pitchers in the games with the lowest totals on the board, generally 7 runs or under. When you marry these two keys during your research, you'll find the pitchers who are not only the most likely to win, but are also likely to give up very few runs. Your next step is researching statistics. 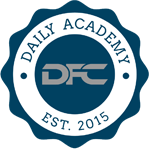 As outlined in the Daily Academy, FanGraphs is a tremendous resource. You can find nearly every single statistic you can imagine all under one roof. Starting off by looking at each pitcher's splits against RHB and LHB is a great way to get your research going. Certain pitchers are very successful against a certain handedness of batter, and when you can exploit weaknesses on the opposing side, you put yourself in a great position. An example of this is Mike Leake. He is in no way a dominant pitcher, but he excels against RHB, allowing a solid .297 wOBA (weighted on-base average) in 2014. However, he gets absolutely dominated by LHB, allowing a .357 wOBA in 2014. This example makes a lot of sense if you are targeting a team whose lineup is predominantly LHB or RHB. In a lineup comprised of 8 RHB, Leake may make for a fine play. However, when faced with a lineup full of LHB, he is not only a pitcher to avoid, but also a pitcher to target with hitters in your lineup. You also want to take into account the team each starting pitcher is facing for a few reasons. First of all, a National League team will have 8 hitters and the pitcher in their lineup, while an American League team will 8 hitters plus a DH (Designated Hitter). A pitcher facing an NL team will have the pleasure of facing the opposing pitcher at the bottom of the order, and as we all know, pitchers have grown worse and worse at the plate through the years (The average pitcher bats right around .135). You also want to take a look at how each team performs against a certain handedness of pitcher. For instance, the Angels batted an impressive .273 against LHP last season, but just .254 against RHP. Taking note of these types of statistics can go a long way in helping you select your starting pitchers. Another key statistic is GB (ground ball) and FB (fly ball) rates. A pitcher that excels at keeping the ball on the ground (league average is 44%) is a significantly better target than a pitcher who allows a large amount of fly balls (league average is 35%). This can lead to more double plays, less XBH (extra-base hits), and ultimately less ER allowed. There are exceptions to the rule, such as Yu Darvish, who is known as a dominant pitcher, however he forced just a 36.3% GB rate last season, along with a 40.9% FB rate. This is why it is important to consider all factors when selecting your pitchers, and not simply look at surface statistics. The next important key is WHIP (walks + hits per inning pitched). On FanDuel, these numbers are less relevant than they are on DraftKings, since there is no scoring penalty for allowing walks or hits on FD like there is on DK. An average WHIP is 1.32, while pitchers who allow a 1.10 WHIP or lower are the cream of the crop (Clayton Kershaw allowed an insane 0.86 WHIP last season). You want to target players who have a low WHIP, not only because they allow less base runners (key on DraftKings), but also because less base runners ultimately means less runs. Another statistic to consider is park factors. Certain ballparks (namely Coors Field) allow a ton of runs due to their size, thin air, etc. Parks like Petco Park are great targets for pitchers, and because of its massive size, there are generally less runs scored. These numbers can easily be found by searching online. Next up we have the moneymaker: Strikeouts. I highlighted above how heavily weighted strikeouts are on both the major sites, and they can be the difference between winning and losing many nights. A dominant strikeout pitcher is a huge advantage in DFS. Players like Kershaw (31.9% K rate) are always very expensive to roster, but when you take into account the fact that a 10 strikeout game is worth 20 FP on DK and 10 on FD, that can be a huge percentage of your team's total score. When deciding between two lower-priced starting pitchers, there are a few keys to consider. You want to find the highest upside in GPPs and the highest floor in cash games. To give two pitchers as examples, let's assume that Jake Odorizzi and Mike Leake are priced the same on a given night. Leake has a pedestrian K rate of just 18.2%, while Odorizzi clocks in at 24.2%. Leake has a tremendous 53.4% GB rate, while Odorizzi has an embarrassing GB rate of 29.9%. Assuming each is a similar Vegas favorite, Leake would be the cash game play, and Odorizzi would be the GPP play. On a two starting pitcher site like DraftKings, playing two mid-range pitchers can be a good idea, since you have the ability for one pitcher to struggle and still have the other make up the difference. On FanDuel, pitching is essential. If your pitcher struggles, you need your lineup to make up the difference, which makes selecting your hurler even more essential. Many times, successful MLB DFS lineups begin and end with the starting pitcher, and you need to make sure you are making the right decisions in order to cash in on your lineups.